Here's all you need to know about Wardha, Ramtek, Nagpur, Bhandara, Gondiya, Gadchiroli-Chimur, Chandrapur, Yavatmal-Washim Lok Sabha seats in Maharashtra. New Delhi: The Wardha Lok Sabha constituency is one of the 48 constituencies in Maharashtra. The current sitting MP of the Wardha constituency is BJP’s Ramdas Chandrabhanji Tadas, who is seeking another term this election. The Congress has fielded Advocate Charulata Khajashigh Tokas, whereas the BSP has named Shaileshkumar Premkishorji Agrawal to contest the election from Wardha. Ramdas Chandrabhanji Tadas had defeated the Congress’ Meghe Sagar Dattatraya by nearly 2 lakh votes in 2014 Lok Sabha elections. The Ramtek Lok Sabha constituency has largely seen Congress legislators with the Shiv Sena breaking into the citadel sporadically since 1999. The sitting MP is Shiv Sena’s Krupal Balaji Tumane, who will contest against the BJP’s Kishore Uttamrao Gajbhiye and Subhash Dharamdas Gajbhiye of the BSP. Krupal Balaji Tumane routed the Congress’ candidate Mukul Wasnik in 2014 by approximately 1,75,000 votes. The Nagpur Lok Sabha constituency is seat to BJP leader and Union minister Nitin Gadkari, who fought his first election in 2014 and defeated Congress’ Vilas Muttemwar by a margin of 284828 votes. Gadkari is now seeking a re-election from Nagpur, against Nana Patole of the Congress and Mohammad Jamal of the BSP. With Gadkari’s win in 2014, the BJP broke the Congress jinx, since Nagpur had long been a stronghold of the Grand Old Party since the inception of the constituency. The only time BJP had won from Nagpur before 2014, was in 1996 when Banwarilal Purohit had defeated Congress’ Kunda Vijaykar. The current sitting member of parliament of the Bhandara Gondiya constituency is BJP’s Nanabhau Falgunrao Patole who defeated the Congress’ Patel Praful Manoharbhai by over 1,49,000 votes. The incumbent MP of the Gadchiroli Chimur constituency is Ashok Mahadeorao Nete of BJP. He had routed the Congress’ Dr. Namdev Dalluji Usendi by nearly 2,36,000 votes. Nete, who is now seeking re-election from Gadchiroli Chimur constituency is up against his 2014 opponent Usendi and BSP’s Harichandra Nagoji Mangam. The Chandrapur Lok Sabha constituency has long been a contest between the BJP and the Congress. Bhartiya Janata Party’s Ahir Hansraj Gangaram has been the MP from Chandrapur since 2004. The incumbent MP Gangaram is seeking another term against the Congress’ Balubhau alias Suresh Narayan Dhanorkar and Sushil Segoji Wasnik of the BSP. 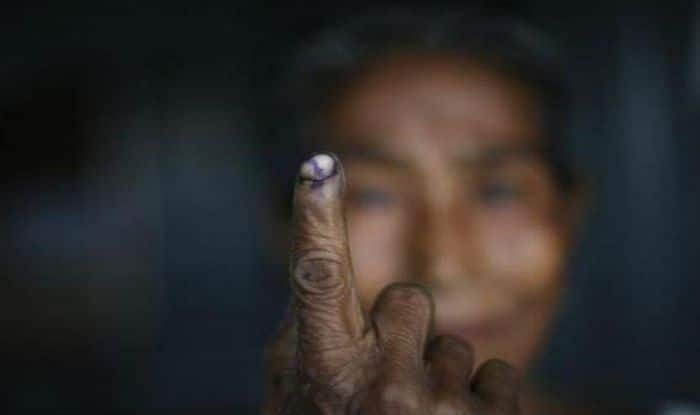 The Yavatmal Washim Lok Sabha constituency consists of 1,554,042 number of electorates, of these 805,904 are males and 748,138 are females. 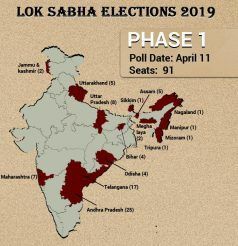 It has six Vidhan Sabha segments. Gawali Bhavana Pundlikrao of the Shiv Sena is the sitting MP from Yavatmal Washim. The Shiv Sena broke into a Congress-BJP fight only in 2009 with Bhavana Gawali winning against the Grand Old Party’s Harising Rathod. Bhawana Gawli is now seeking her third term from Yavatmal Washim constituency and will contest against Manikrao G. Thakare of the Congress, Arun Sakharam Kinwatkar of the BSP and Pawar Ramesh Gorsing of the JD(S).